A forensic pathologist told the trial of a father accused of murdering his six-month-old son that a tear to the inside of the child's throat would usually be seen in cases involving punches, blows or severe struggle. Consultant pathologist Dr Roger Malcolmson also described as "fanciful" the suggestion that the baby could have caused its own death by swallowing a wad of tissue. 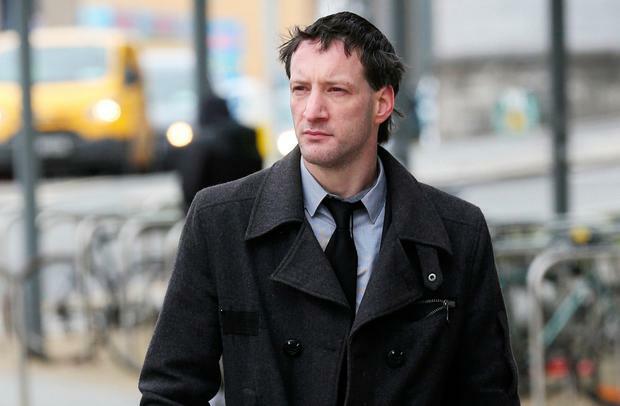 John Tighe (40) of Lavallyroe, Ballyhaunis, Co Mayo has pleaded not guilty to murdering six-month-old Joshua Sussbier Tighe at his home on June 1, 2013. He is on trial at the Central Criminal Court. Dr Malcolmson reviewed a pathology report carried out by Dr Khalid Jaber, which he said was in keeping with international standards. When prosecution counsel Paul Murray SC asked Dr Malcolmson about the possibility of a six-month-old ingesting the two pieces of tissue that Dr Jaber found in baby Joshua's throat, he responded that it is "not credible". He added that the presence of the tear is "highly suspicious" of inflicted trauma and that such injuries are seen in cases involving punches or blows or severe struggle with force applied to the mouth. He said the baby would not have been able to do that to himself and that the injury would not have happened spontaneously. He agreed with defence counsel Mícheál P O'Higgins that it is possible that such injuries could be caused by Mr Tighe putting his fingers in the baby's mouth in efforts to remove the blockage. When asked by Mr O'Higgins if it would be possible for the child to put the already formed wad of tissue in its mouth, he said it would be unlikely, that he did not think it is reasonable and described it as a "fanciful possibility that a baby could do that to itself". Earlier the trial heard from paediatrician Dr Hilary Stokes, who said that choking is the most common cause of accidental death in infants. Yesterday she told Mr Murray that she did not believe it would be possible for baby Joshua to form, chew or swallow the wad of tissue. Today Dr Stokes told Mr O'Higgins that the most common cause of accidental death in babies aged under one year is choking. She said any person working in paediatrics for a time will have dealt with a choking case at some point. Dr Stokes agreed that a child at that age will put things in its mouth, that they like playing with paper and are capable of disintegrating a cracker or biscuit by sucking. She agreed that it is important that Mr Tighe told gardai that he had "balled" the tissue himself and left the it within the baby's reach, in the context that Dr Stokes had said the child was incapable of forming the wad by itself. The trial continues tomorrow in front of Justice Patrick McCarthy and a jury of nine women and three men.